The General Manager position offers an opportunity for a gifted arts administrator to find an artistic home – a place where they can bring their developed nonprofit management skills to a space that truly values their expertise and perspective, that is both well-resourced and stable but also risk-taking and incredibly ambitious. APTP is serious about nourishing and supporting its administrative staff and artists and provides a space to be challenged and grow within an atmosphere of a close-knit team. 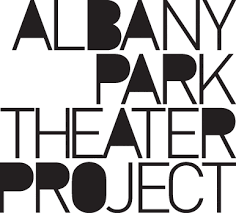 Please submit your resume, accompanied by a cover letter that explains why you are qualified for this position and your interest in working at Albany Park Theater Project. Use the opportunity to share something of yourself that we won’t get from your resume alone. Please email your cover letter, resume, and salary range requirement to genmanager@aptpchicago.org. Job Categories: Theatre. Job Types: Full-Time. Job Tags: administration, human resources, management, manager, non-profit, and theatre. States: Illinois.